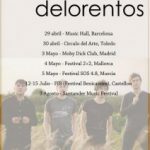 Delorentos » New Release, New Tour and New Video! We promised we’d let you know what we’re doing, so here it is! This month, 6 years ago we released our first music, a self-funded EP, and booked our first tour. 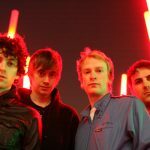 To celebrate that anniversary and flag the arrival of our third album we wanted to release a new EP, but try and do something different with it. 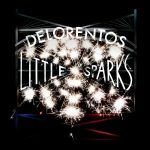 “Little Sparks: The EP” is the result. A 40-page colour magazine with a cd featuring 4 of the 15 songs we have recorded over the last 6-8 months with Mercury prize-winning producer Rob Kirwan. 1. Did We Ever Really Try? 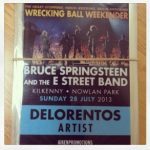 The magazine is our attempt to embrace and respect creativity in Ireland. 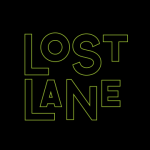 It shines a light on the work of some of the people that we’ve worked with or that we like and respect but, more importantly, people that have managed to be creative in their chosen field of expression. These are the people – from furniture designers to painters, actors to writers, performers and musicians to independent politicians – that have left, or will leave, a dent on the cultural landscape of Ireland. They’re all doing different things, but have one thing in common: they are trying their best: putting their all into what they do and doing their best to make whatever they do work in spite of all the hurdles. We’ve asked everyone to talk openly and honestly about what, why and how they do what they do.We hope the way these contributors have performed, acted, filmed, painted and worked over the last 5 years will be inspiring to others. They have been to us! The CD-EP and Magazine will not be released in shops; it’s a special limited edition. So, although you can download the songs digitally from the usual outlets, the physical copies of the EP + Magazine will be only available to people that come to our upcoming Acoustic tour. We’ve spent the last couple of months brushing up on our harmonies and learning new instruments; from Níals Dad’s old accordion, to our friend’s Mandolin; and we’re hoping to introduce the songs to you in a new and different setting as well as adding a new twist to some of our older songs! We’re aiming to create a special night in each of the towns and cities we visit – and make each show something that will change with the venue and the audiences we play for. We’ve announced a few gigs already, and will announce more dates in the coming weeks. We hope you enjoy this release as much as we had putting it together. 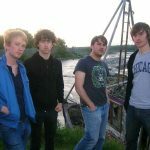 In the meantime we’ve just uploaded a new video made by our friend and collaborator Gareth Averill for the lead track off this EP: Did We Ever Really Try here! 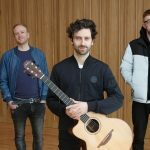 Acoustic Tour & Little Sparks Magazine Ep! can you download little sparks? 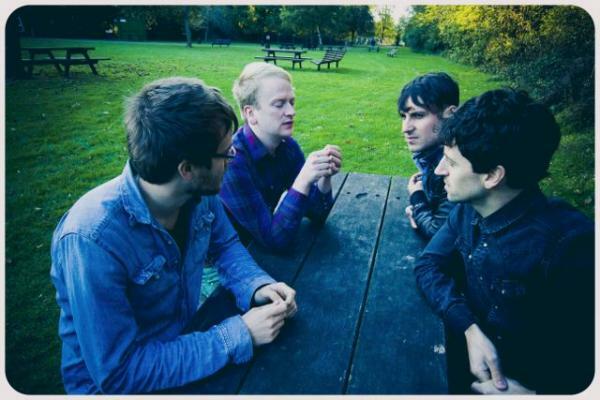 Love Little Sparks EP, it is addictive / amazing !! Looking forward to the album in Jan. Hurry up back to The West ! !